We're calling on you to share your insight on any upcoming or ongoing Web Security projects you are involved with. Could we have a few minutes of your time to participate in our exclusive research program? The questions are short and multiple choice, as we know your time is valuable. 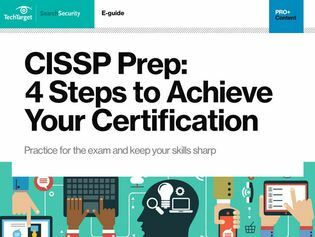 Your feedback helps us shape future editorial coverage and as a thank you for participating you will receive complimentary access to our new study guide, CISSP Prep: 4 Steps to Achieve Your Certification. Becoming a CISSP can open doors in your security career and improve your earning potential, so don’t delay in obtaining our free CISSP study guide.